Everybody loves colorful, spring blooming azaleas, but can you grow azaleas in cool regions? You can. Azaleas and cold weather can mesh if you pick the right cultivars and provide the right care. It’s also possible to find azaleas that grow in high elevations. Read on for information about caring for azaleas in mountain climates and cooler regions. Can You Grow Azaleas in Cool Regions? You can find different species of azaleas growing in the wild through the entire temperature range, from the arctic to the tropics. 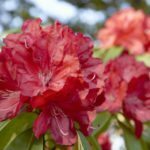 Azaleas can thrive anywhere that has acidic soils, sufficient water, limited humidity and winds, and a lack of very high and very low temperatures. For years, most of the azalea cultivars were developed for moderate climates, and azaleas seemed the realm of warmer regions. This is no longer the case. Northern plant developers put their minds to bringing together azaleas and cold weather. 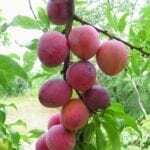 They bred varieties that are fully hardy down to zone 4 and even zone 3, with proper care. Can you grow azaleas in cool regions? 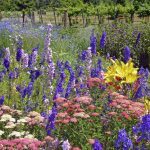 With modern, cold hardy cultivars, the answer is yes. Try the Northern Lights Series of hybrid azaleas developed and released by the University of Minnesota Landscape Arboretum. These azaleas are hardy to -30 degrees to -45 degrees F. (-34 to -42 C.). Perhaps the hardiest azalea cultivar of all is Northern Lights ‘Orchid Lights.’ This variety is hardy in zone 3b and will thrive in zone 3a with proper care. You’ll have to be just as selective if you are looking for azaleas that grow in high elevations. High altitude azalea shrubs must withstand chilly weather as well as mountain winds. One variety to try is five-leaf azalea (Rhododendron quinquefolium). This azalea grows in the wild in a shady, high elevation mountainous habitat. It can get to 15 feet in the wild, but reaches only 4 feet in cultivation. Five-leaf offers green leaves that develop red outlines as they mature, then finish the growing season a beautiful red. The flowers are white and pendulous. Caring for azaleas in mountain climates involves more than just getting a hardy cultivar. Azaleas of all species require well-draining soil; to plant them in clay is to kill them. They also need irrigation in times of low rainfall. Mulch works well to protect the roots of high altitude azalea shrubs from cold. Mulch also holds water in the soil and keeps down weeds. Use fine-textured organic mulches, like pine straw or fall leaves. 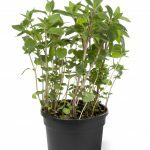 Maintain a 3- to 5-inch layer around the plants, keeping it away from actually touching the foliage.